1. Are Pilates And The Franklin Method Suitable For All Ages And Levels Of Fitness? 2. What can I expect from taking a Classical Pilates session? 3. How frequently should I be doing Pilates or the Franklin Method? 4. Is Pilates for men? 5. Can I still take Pilates if I am recovering from an accident, illness, or another form of physical trauma? 6. Is Pilates safe if i am pregnant? 8. What type of clothing should I wear? 9. Is Pilates the same as yoga? Classical Pilates and the Franklin Method are both beneficial for anyone interested in improving their overall fitness, coordination, flexibility and strength whether they are an utter novice or a professional athlete or performer. 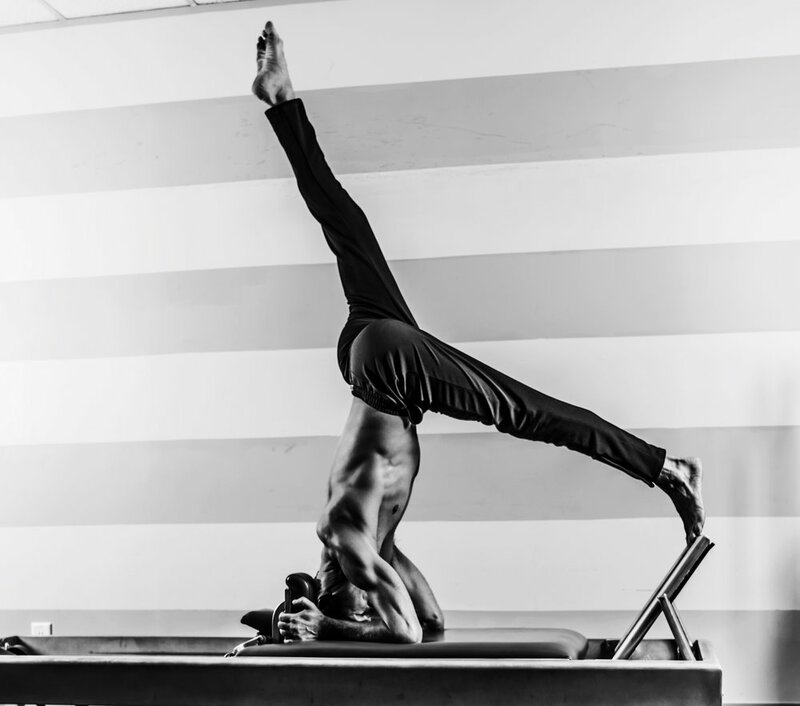 Consistent practice with the Classical Pilates method and or the Franklin Method can help one gain a greater sense of well-being and a more thorough integration of mind and body. Classical Pilates works on the fundamental principle of creating balance in the body: strength and flexibility in equal measure to create a healthy moving body. The Franklin Method teaches that any movement can become a beneficial exercise if it is performed with good function, rather than teaching a specific set of exercises. Both Classical Pilates and the Franklin Method can be adapted to suit any fitness level, including those rehabilitating from injury or recuperating after an illness. People have started Pilates in their eighties and nineties with remarkable results and mat work is suitable even for young children. Beginners who have never taken Classical Pilates before will discover and feel muscles they never even knew they had simply by moving their bodies in new and novel ways. Under the guidance of their instructor, beginners learn the essential principles of Classical Pilates and discover how Pilates can help them reach their fitness goals. For the experienced Pilates student or teacher a Classical Pilates session will enhance their overall understanding of Pilates as it was originally intended as well as deepen their regular workouts. All of the individual apparatus developed by Joseph Pilates were designed to help people gain the strength and flexibility necessary to do the extremely difficult mat work properly. Each apparatus supports the other and helps to target specific areas that may need more strengthening or more freedom. Three times per week with an instructor is optimal for developing strength, technique and proper alignment of the body. As little as once per week with an instructor is good for maintenance. Even if you only take one private or semi-private session per week, you will begin to see improvement in your overall fitness. Ideally, studio workouts with an instructor should be augmented with exercise sessions at home, gym or office, preferably three to four times per week in total. Pilates and the Franklin Method are meant to be lifelong pursuits, helping to keep practitioners feeling youthful and invigorated. Both the Classical Pilates and Franklin Methods were created to be adaptable and to address the specific needs and problems of individual practitioners. Pilates was originally created as a comprehensive total body workout for men by German-born gymnast and boxer Joseph Pilates. Tailored according to an individual’s personal needs and goals, Classical Pilates can help fine-tune a man’s performance whether he is a powerlifter or prepping for his first marathon. Most men who exercise frequently are strong, but their muscles may be incredibly tense. Pilates makes those tight areas more agile, more flexible and also makes many functional activities (things we do in our everyday routines) easier on the muscles and joints. Strengthening the core muscles which Classical Pilates targets so perfectly can help alleviate back problems and help develop a flat stomach, two things that top the list of many a man’s health and fitness wish list. Pilates alone may not build the muscle mass men desire, but it does complement other forms of exercise by helping to create a balanced body. Many famous male professional and Olympic athletes have added Pilates to their training programmes in order to enhance their strength, coordination and flexibility by developing their core muscle areas. Joseph Pilates originally developed his system of corrective exercises to help recuperating patients who were hospitalized and laying flat on their backs in bed. Classical Pilates is particularly useful for people who are in a rehabilitative mode and need a form of exercise that will not further traumatize their bodies. Pilates is invaluable in this instance in that it offers a means to gain strength, control and flexibility through gradual and incremental stages. As practitioners improve they can build upon their fitness level, increasing the level of challenge in a precise and controlled manner. A recent article in Midwives Journal advocated for the Pilates method as a means of gentle, safe and controlled exercise during pregnancy and postnatal. Even if you have chosen to give up other more vigorous forms of exercise during pregnancy, Pilates can help keep you fit and strong. Pilates is also beneficial as a postnatal form of exercise for nursing mothers or any woman who needs to feel capable and resilient during these challenging periods in her life. founding principles of Joseph Pilates, most studios offer semi-private sessions designed to be affordable for everyone. Practitioners desiring a more individualized approach are welcome to book private sessions with an instructor to address their specific needs. Any comfortable stretchy fitness attire is suitable. Comfort is of the essence, but clothing should not be too loose. It is essential that the instructor be able to see your body clearly in order to make certain you are performing the exercises correctly. Pilates is a unique and entirely independent exercise system unrelated to yoga or any other fusion type exercise. Classical Pilates works differently than other forms of exercise in that it is designed to strengthen and balance the entire body through a thorough integration of muscular strength and spinal flexibility, incorporating dynamic flow with few repetitions. Instead of isolating specific muscle groups, the Classical Pilates method combines breath control, elongation of muscles, joint flexibility, concentration and control to address a number of different physical and mental aspects simultaneously. Pilates was never designed to be a form of aerobic exercise.